For Chef Timothy Hontzas, the path into cooking professionally came naturally due to his Greek heritage. His grandfather, Johnny Hontzopolous, migrated to New Orleans in 1921 with seventeen dollars in his pocket. He went on to open three successful restaurants, in Mississippi, the last being his namesake. ​Several years pass and another young fiery man, with a passion for food and success, enters our picture. His name was Gus Hontzas. Reigning from the same village, and a nephew of Johnny’s, the dye had been cast for fulfillment. With the help of Timothy’s father, Connie (Constantine), and Gus Hontzas the three fervent entrepreneurs opened Johnny’s Restaurant in the summer of 1954. After enjoying many years of prosperity, it was time for the youngest of the pioneers to go out on his own and so he did. Gus landed at Niki’s West in Birmingham, AL, where he purchased the restaurant from his uncle Johnny’s sister Aunt Margaret. The rest is history. 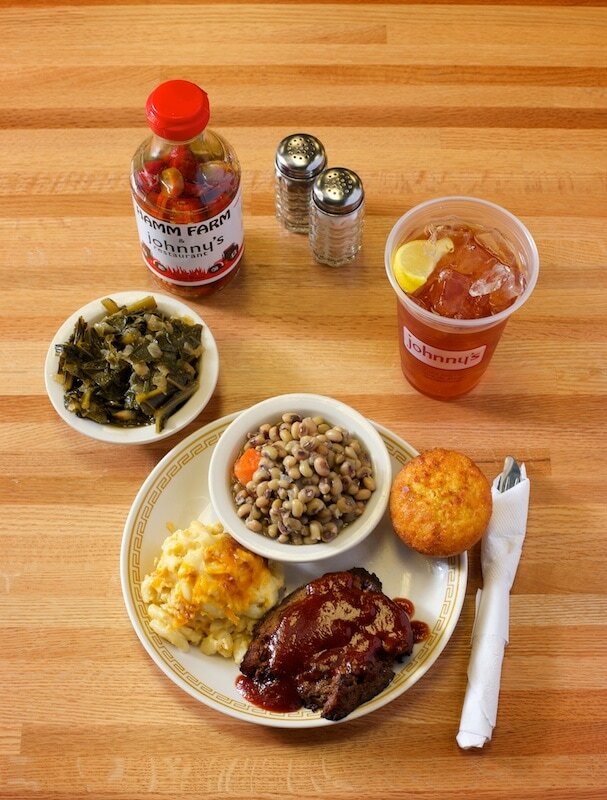 Still churning out plates of meat and three’s, Niki’s is a cornerstone of Birmingham restaurants. And so in honor of his grandfather, father, and uncle Gus, Tim offers you the next generation of Johnny’s Restaurant. Before opening Johnny's in Homewood, AL in 2012, Tim worked under several chefs, first and foremost, John Currence. Working under John paved the way for Tim to continue apprenticing under several others, including Erling Jensen, Chris Nasons and Rick Kangas. At Johnny's you will find the comfort of classic “Meat & Three” dishes, as well as Greek specialties, such as Spanakopita, Souvlaki, Rolo Kima (Greek Meatloaf w/Lamb) and House Made Yiaourti Cheesecake.